The Saint Louis Billikens have their first A-10 Tournament game tonight against Duquesne, in a battle between the 11 and 14 seeds. At the start of the season, most expected the Billikens would wind up with one of those seeds, they just expected them to be the 14th seed rather than the 11th. So, yeah, the Billikens are an 11-win team, but they’re the rare 11-win team that is exceeding expectations. With that in mind, it’s not out of the realm of possibility that they can pull out a couple of wins in the A-10 Tournament. Here are the Billikens’ three keys for success. Hope for a Miracle—There’s almost no way SLU will win the A-10 Tournament, if I’m being realistic. 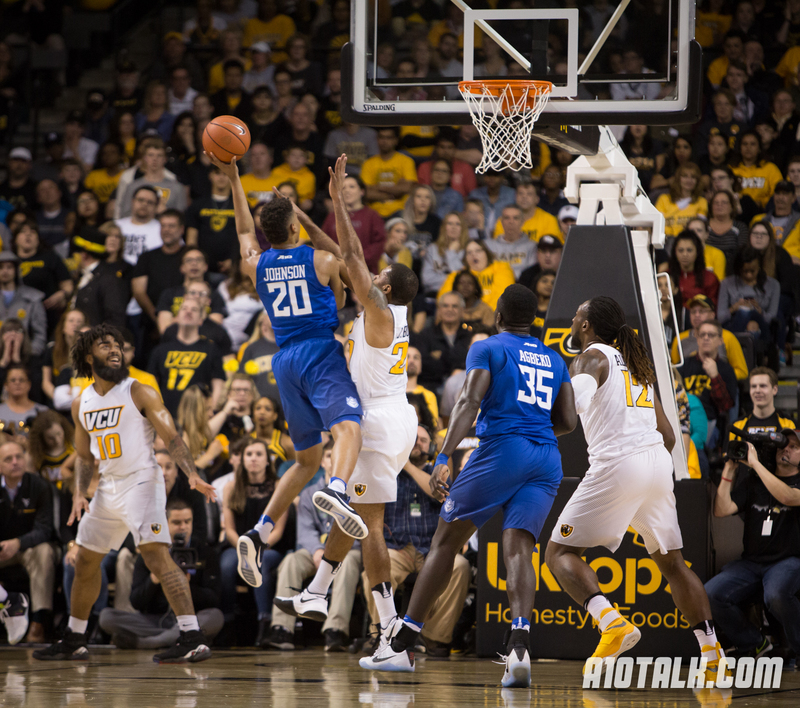 While the Billikens have been competitive with most teams in the A-10 after a rough start, coach Travis Ford relies on a 7-man rotation that often causes the Billikens to fade down the stretch. That’s in individual games, so apply that to 5 games in 5 days, and it’s almost impossible to imagine a scenario where SLU wins. Ergo it would basically be a miracle. Davell Roby needs to play his “A” game— Roby has taken big strides this season, and is one of the most underrated players in the A-10. He’s shooting 40% from three, defends the opposing team’s best player, and is a gifted passer as well. If the Billikens are going to win multiple games in Pittsburgh, Roby needs to be at his best. With his ability to create off the dribble, catch and shoot, and get to the hoop, he needs to continue playing like the go-to scorer that he has emerged as in conference play. Jalen Johnson needs to find his 3-point shot— The freshman forward has been a revelation since Ford inserted him into the starting line-up. He emerged as a dangerous threat from behind the arc, and boosted SLU’s energy level and rebounding. However, he’s struggled his last two games, going scoreless against Richmond and only scoring 4 points against La Salle, and missing all of his three-point attempts. Johnson needs to rediscover his three-point shot if SLU is going to make an impact in the A-10 tournament, because the Billikens offense is significantly more dangerous when he is a threat to score.